Diagonal words will be removed. $20 - Just the Artwork in very high resolution, in the format you request. $22 includes title. You add lettering. $35 - Our artist adds lettering to make it a poster, with your instruction and approval. Your license is good for the performances you have paid royalty for. Please request if you want to license this art for other purposes. 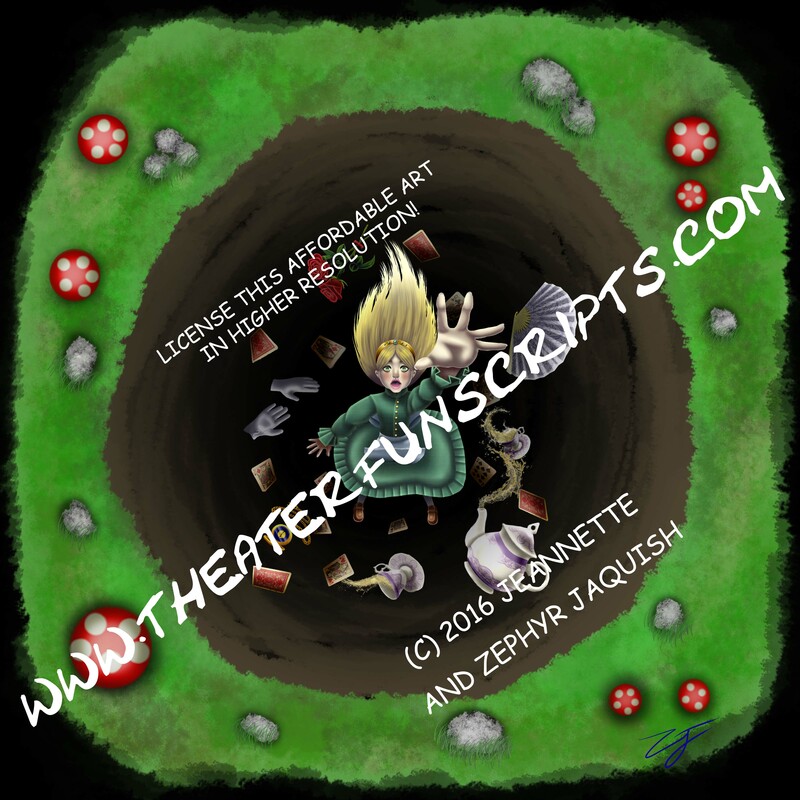 Free poster art of the Tea Party scene from the Lewis Carroll book is included for no extra charge with the script. ORDER scripts, music CDs and artwork. This display of art is 1/10 the resolution of the art being licensed. The artwork or poster will be emailed to you. You will need to send all your publicity information if you are having us do the lettering, including the format that you want. Questions? Contact Jeannette Jaquish at 260 484-5946.